What’s Your Real Estate Location Strategy? Time flies when you’re having fun and working hard. We are already a month into 2016. Looking at my calendar reminds me that I’ve worked at Esri for 16 years! That’s not as long as some of my colleagues have worked here, but in the technology industry, that’s practically a lifetime. 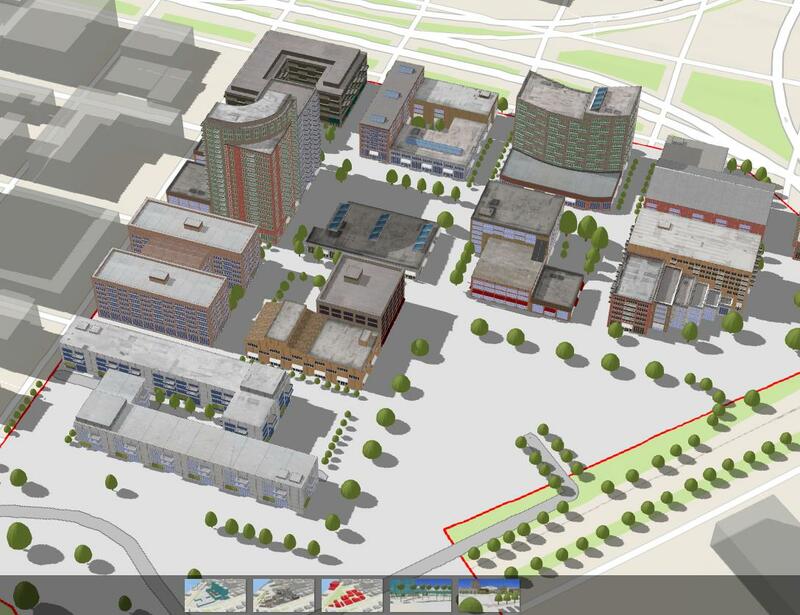 In that time, I’ve watched GIS move from being a tool used by cartographers working in organizations’ mapping departments (plus a few early adopters) to being a business-critical part of any real estate company. It has evolved to keep pace with a new generation of CRE professionals who have become mobile in response to increasing demands for information anywhere and at any time. Because of this, in my role with Esri, I am frequently asked to define the value of GIS and location technology for real estate organizations. It might seem obvious, but to me, the value is neither splashy 3D apps nor simply dots on maps. The value is less about pretty maps and snappy apps and more about developing a strategy that makes use of your current location data resources. I’m talking about a location strategy. What Is a Location Strategy (and why do I need one)? Real estate is driven by understanding information, and this understanding lives in the data for the market. This is data you already have in your business systems, your head, spreadsheets, documents, images, and more. 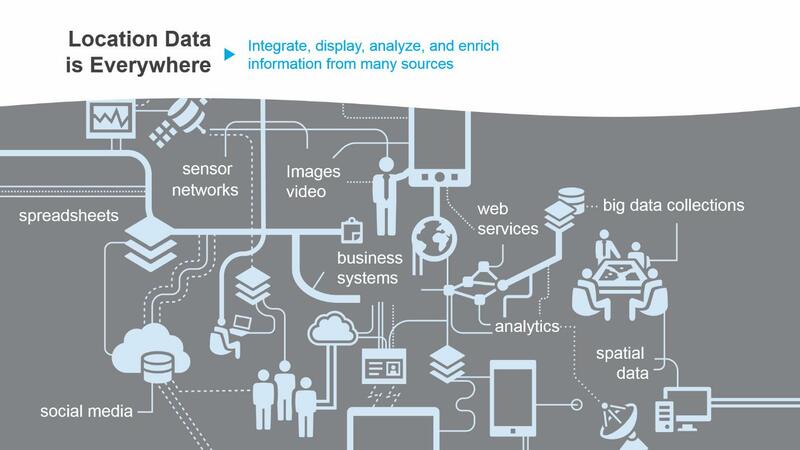 All of this data has one thing in common – location. Everything in real estate has some aspect related to location. How you manage this data to derive understanding is what we refer to as a location strategy. When we think about real estate information in these terms, it’s pretty easy to understand that an organizational location strategy makes dollars and sense. With this in mind, the following points are critical to gaining the advantage that a location strategy brings to your company. Real estate organizations invest significant amounts of money on data, including hiring professionals who have institutional knowledge. Managing this data in a structured, organized manner is what a GIS does well. Think about how companies manage their CRM data. Managing your location data requires a similar approach to leverage the value of this data. This is done by insuring your teams and their clients have the most accurate and timely data in their hands. Takeaway: Real estate organizations invest significant amounts of money on data and to increase the value of this investment requires a strategy and a system to support it. What you deliver to the client is your brand, your report, and your product. Look at what you deliver today. Is it paying off? What can you do to distinguish your company? 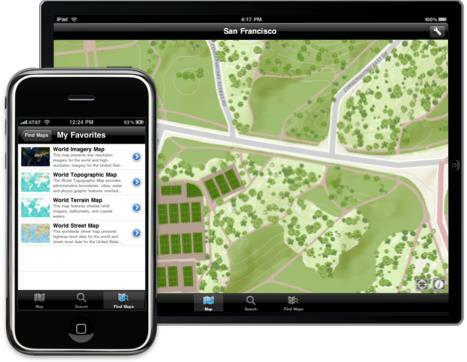 GIS technology like Esri’s ArcGIS provides a way to deliver actionable information that elevates your brand and promotes clients’ confidence in you. Takeaway: Better information means a better brand, much of which is location driven. A strategy to develop information supporting your brand impacts everything your company does. Up until a few years ago, the ability for small to mid-sized real estate companies to effectively support a location platform was often limited by the high cost of technology, data and the talent to support them. Now, with simple-to-use software as service (SaaS) mobile technology, and the ever growing availability of open data resources, even the smallest companies are using location technology to compete. 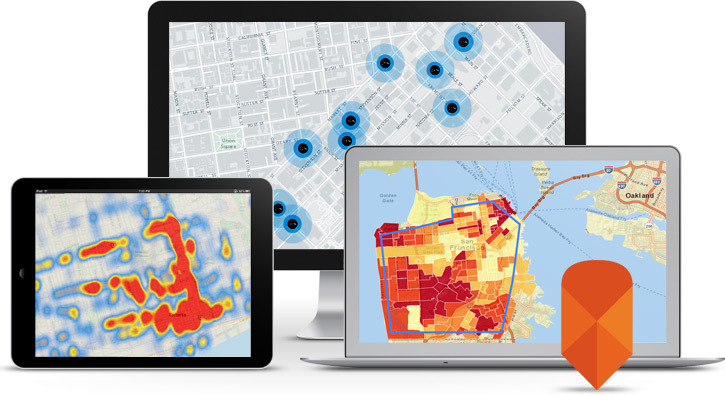 Takeaway: For companies of any size, investing in location technology like ArcGIS returns value immediately and allows them to compete with even the biggest players in the market. I love a pretty map. It’s one of the reasons I become interested in geography in the first place. But a map is now more than something you roll out on the conference room table to win a deal. Maps in today’s spatial technology environment provide the means to collect, manage, and share location throughout your business. We don’t carry map tubes anymore, we carry mobile devices. We don’t shoot film and have it developed; we take pictures of our sites with GPS enabled cell phones that record exactly where the photos were taken. Instead of jotting down notes on cocktail napkins, we capture site data in location-enabled devices. All of these are examples of how location data and a strategy to manage it are changing the way we do business. Takeaway: Technology is ever changing. We need to make sure we follow best practices along the way to keep us from becoming yesterday’s fax machine, mimeograph, or microfiche – irrelevant technology. Even if it comes at a short-term cost, making the decision to align with a long-term strategy for a bigger payoff is the right thing to do. “Would you like a 3, 5, 10 ring demographic report with that?” It sounds like an order of fries on the side. 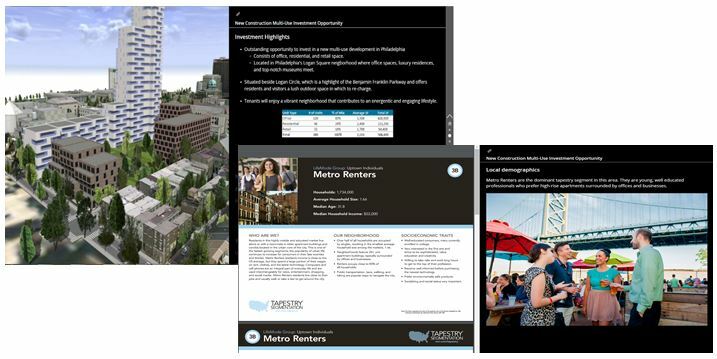 Many real estate practitioners still look at site selection and market analysis as consisting of just a map and report on page 20 of their deal sheet. However, market innovators are changing the game. Using accurate location analysis with relevant data is replacing old practices. And delivering this as compelling, actionable information is taking analysis to the next level. Clients now expect information delivered to them in ways that make better sense to their leadership and show executives that they are working with the best in the industry. Takeaway: Making a strategic shift to provide new, compelling, and original information to your clients can have multiple payoffs. Better analytics, efficient data management, and relevant information products result in real ROI. I’ve spent a decade working with real estate firms through both good economic times and bad. I’ve seen a lot of companies rise while others fall. 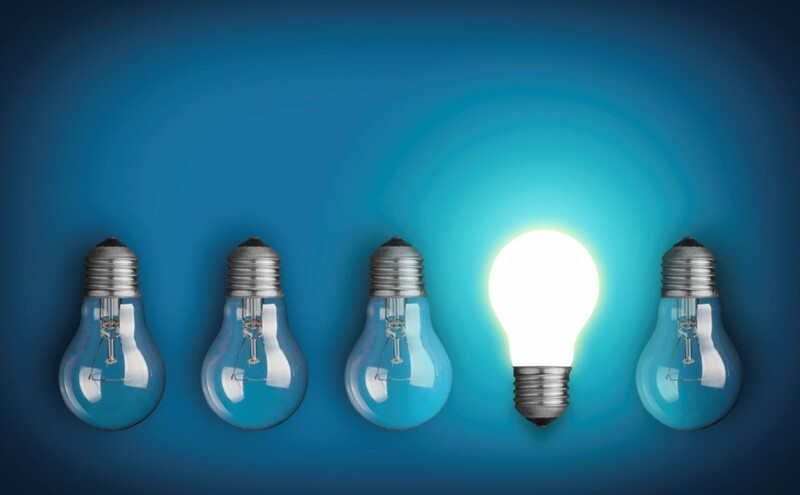 The one common trend among successful companies is a culture of innovation. Quite often, the most innovative ideas in the CRE industry come from the deal makers who know just what it takes to win. Providing these employees with the means to innovate requires a strategy that is information – deliberate, purposeful and provides the best tools in the trade to your best talents. Takeaway: Making a cultural shift to allow innovation is not something that happens overnight; it’s a long-term approach. Developing and supporting a team to incorporate a location strategy provides a foundation for change in one of the most important aspects of real estate: location.